I've left this a little late but as per the title we are having an exhibition at Seale Hayne for the Centenary of the opening of Seale Hayne as a WWI hospital. It runs from Saturday 21st April to Saturday 28th April 10am to 4pm. Free entry. 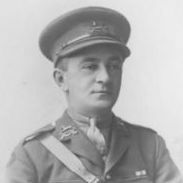 An exhibition commemorating the centenary of the opening of the Seale-Hayne Military hospital and the remarkable, and often controversial work of Arthur Hurst. A dedicated group of re-enactors will create a mock trench, complete with sandbags, guns and barbed wire. You will also get to see life behind the trench with a mock first aid post, kitchen and living area. Come learn how to make a simple basket with Hilary Burns, an expert weaver with 25 years experience.